Nikon cameras aren't cheap. But if you know where to look – and we do – there are some fantastic Nikon deals to be found. We’re constantly searching for the best prices on our favorite Nikon cameras. Whether you’re looking for a cheap DSLR camera, compact or bridge camera, we’ve got you covered right here. What’s the price of a Nikon camera? 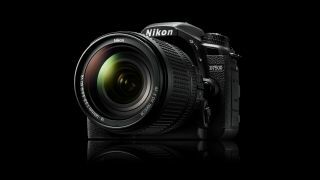 Nikon cameras range in price from around $250/£300 for a compact camera like the COOLPIX AW130 or $360/£400 for an entry-level DSLR like the Nikon D3400, and up to $3,000/£3,000 – and a lot higher – for full-frame DSLRs like the Nikon D850. Of course, professional photographers will want a different set of features to beginners, and the more features you want, the more you'll pay. We've searched the most reputable online retailers for the best Nikon deals on our favourite cameras. Read on to grab yourself a bargain. Nikon's entry-level D3400 is a small, highly affordable and easy-to-use DSLR, which marries a simple external layout with a high level of manual control under the bonnet. Based around a 24.2MP APS-C sensor and an EXPEED 4 processing engine, the camera is typically made available as part of a kit with the retractable AF-P NIKKOR 18-55mm f/3.5-5.6 G VR lens (you can find it cheaper with the non VR lens, but it's really not worth the saving you make). If you're looking to take your first steps into photography and don't want to make too big a dent in your bank balance, this is perhaps the most logical option. The Nikon D5500 is another entry-level DSLR that produces excellent images and offers beginners a lot of creative control. While lightweight, build quality is great and handing is excellent, with just the right level of physical control to give you direct access to most settings, while keeping the exterior simple. Meanwhile, the flip-out, swivelling touchscreen lets photographers swipe through captured images and pinch to zoom into them during playback. 4K video sadly hasn't made the cut here, but the Full HD option that records to a maximum 50/60p is at least the next best thing. With the further advantage of 5fps burst shooting and a 39-point AF system, the D5500 is a great choice if you want something a little more capable and future-proof than the D3400 above. Nikon's 'advanced beginner' camera is a little gem. The rear LCD screen is fully articulating and offers touch control, and, thanks to Nikon's new(ish) AF-P lenses, the autofocus is surprisingly swift and discreet when using live view or when filming videos. In many ways it's the same as the D5500 above, only this newer model supports Nikon's SnapBridge system for wireless image transfer (as opposed to the D5500's standard, but arguably better, Wi-Fi option). Not too fussed about that? Then simply go for the D5500 while you still can. The Nikon COOLPIX AW130 is a well-crafted compact camera that can be taken underwater to a depth of 100 feet (30m) without additional housing. While there can be higher noise in the images than you might find in other compact cameras, image quality is generally good – and, of course, the AW130 goes where other cameras don’t. It’s rugged and durable, with a well-rounded feature set that includes Wi-Fi and NFC connectivity, a 24-120mm (35mm-equivalent) lens, Full HD video capture, geotagging, a built-in world map, compass, depth gauge and an altimeter. If you’re looking for a cheap Nikon camera that performs well underwater, the COOLPIX AW130 is your best bet. Despite being superseded by the D5600 (above), the D5300 remains on sale but for a lower price – which makes it a good-value option. It maintains most of the features we've come to love on the upper-entry-level D5000 series of cameras, such as a 3.2in flip-out screen, a 39-point AF system and a respectable 5fps burst shooting mode, together with Full HD video to 50/60p and a sensor that lacks a low-pass filter for better detail retention. The Nikon Coolpix A900 is a compact camera that boasts a huge 35x optical zoom – or 24-480mm in 35mm terms – and full 4K video recording. It’s easy to use and under the right conditions takes high quality images. For a compact, it’s a little on the large size, thanks to the zoom, but it’ll still fit in your pocket. And while a touchscreen would have been welcome, the A900 still offers an attractive feature list including manual control and SnapBridge connectivity. If you’re looking for a travel camera, this is a fantastic option. The D7500 borrows some of the speed from Nikon's top APS-C D500 model, and some of the affordability of the D7200 below it, to offer a well-judged blend of performance and value. Nikon's 20.9MP sensor features here, which sacrifices almost 4MP against its older 24MP unit, but it brings improved overall performance and image quality together with 4K video and extended high ISO possibilities. You also get a tilting rear touchscreen and 8fps continuous shooting, the result being a camera that has no obvious shortcomings in any areas. If you’re after a cheap Nikon camera with a huge zoom range, the COOLPIX P900 should be top of your list. With its 24-2000mm (equiv) zoom lens and five-stop Vibration Reduction system, it’s unsurprisingly become a smash with amateur astrophotographers, as well as holiday photographers who don’t want to haul around a DSLR and lenses. Images taken in good light look vibrant, and there’s the option for full manual control, although we’d have liked to see Raw format shooting too. It’s perhaps a little heavy, but if you’re in the market for an ultra-zoom bridge camera, the COOLPIX P900 is Nikon's finest offering right now.